I love Etsy, don’t you? It’s a treasure trove of unique and creative goods from people all over the world. I enjoy browsing featured items and categories that strike my fancy almost as much as I enjoy Pinterest. 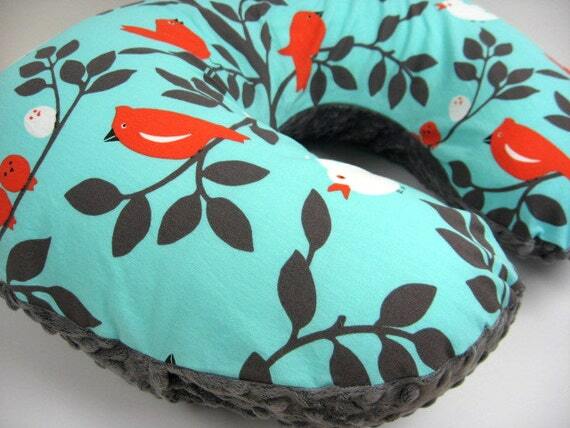 Today I put together a roundup of 10 gifts for new Moms. These really could be for any Mom, but there’s something special about having your first and all the new experiences that come with it. And of course you tend to get lots of adorable gifts with your first. You can find this treasury on Etsy if you want to view it there, or take a look at all the goodies below. If you like what you see be sure to click through and take a look at these shops, I promise the rest of their items are just as adorable. A nursing/maternity top from Modern Mummy Maternity. 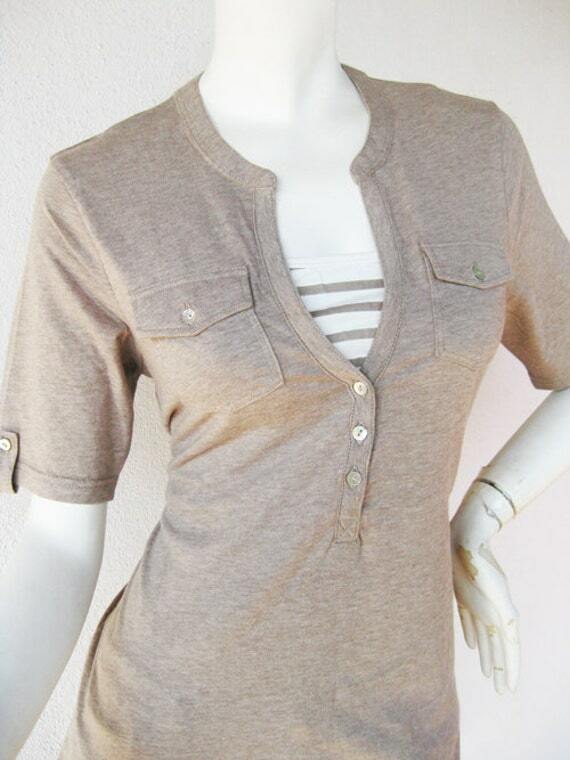 This is a cute casual top that allows Mom to nurse and still look good. I love the adjustable elastic in the back, you can wear this while still pregnant too! 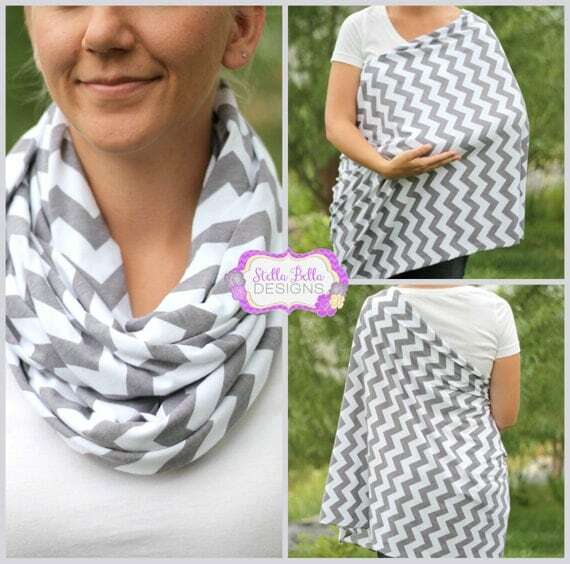 The Hold Me Close™ Nursing Scarf from Stella Bellas Designs is an awesome way to cover up and look cute. You can find this in a variety of styles and colors. 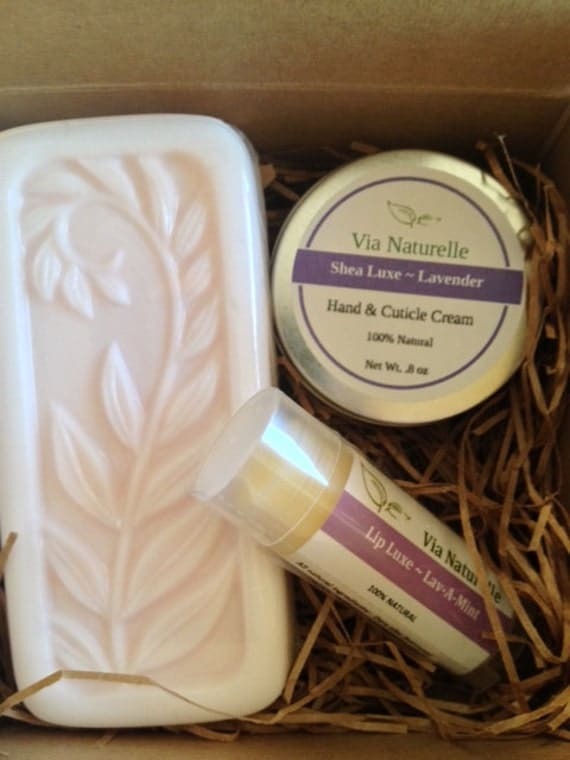 How about a simple set of lavender lip balm, cream, and soap from Via Naturelle. Full hair and makeup won’t show up for a while, but mom can still be moisturized and smell good right? I adore this, and will be hinting at it for Mother’s Day this year. 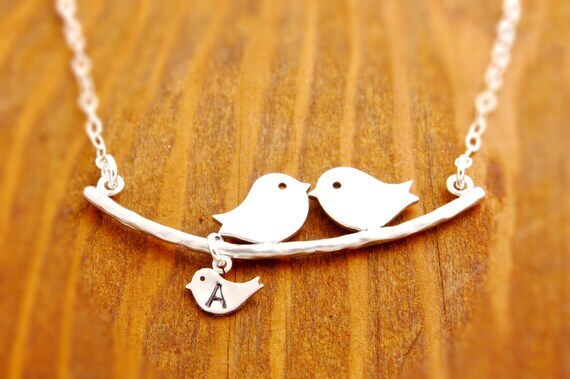 A sweet little Mom necklace from Megus Attic. 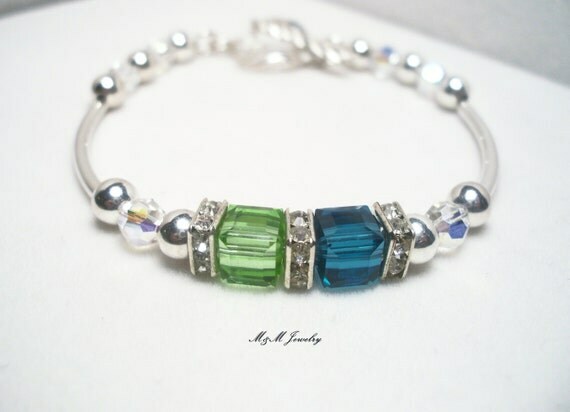 Also a big fan of this Mother’s birthstone bracelet from Mand M Jewelry. 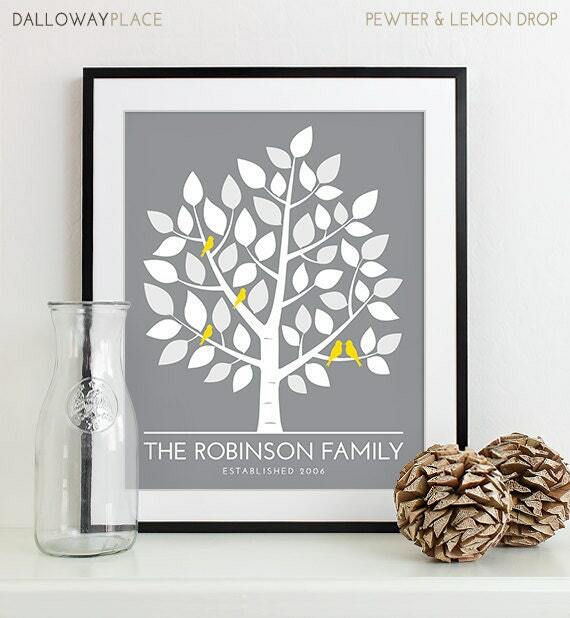 I would love to give this as a gift, a framed print of your family in the colors you choose from Dalloway Place Gifts. Another stylish Mom essential. 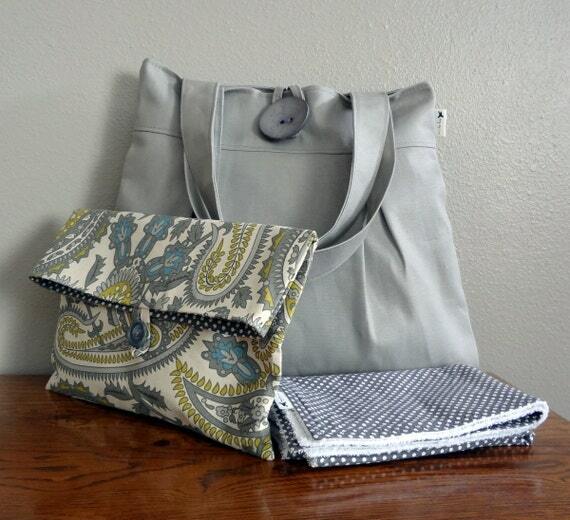 This diaper bag from Bags By Lora looks more like a cute purse, but packs all the necessities of a diaper bag; diaper clutch, changing pad, and lots of pockets. I have a Boppy and used it all the time for Little Lady, not just for nursing but tummy time too. A cute cover would make a great gift, especially one with an adorable print and minky fabric like this one from Bixby Basil. A personal favorite, I just received mine in custom colors to match baby girl’s nursery. 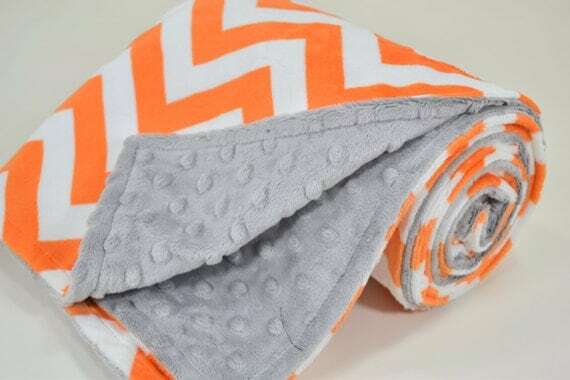 This blanket from Baby Gowdy would be loved by any new Mom and baby. If baby’s happy, Momma’s happy. Swaddling baby was a huge help for me with Little Lady. 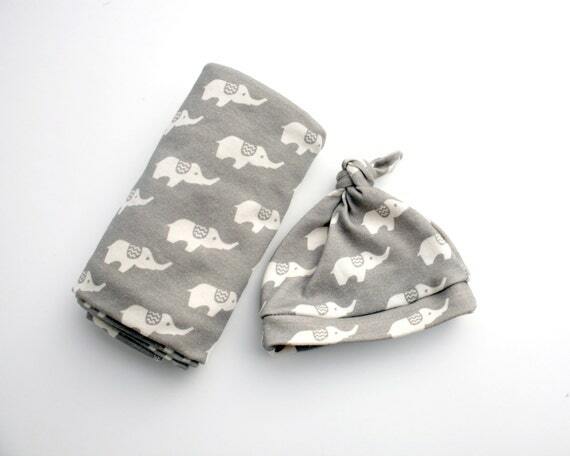 Why not gift a matching soft blanket and hat set like this one from Growing Up Wild. 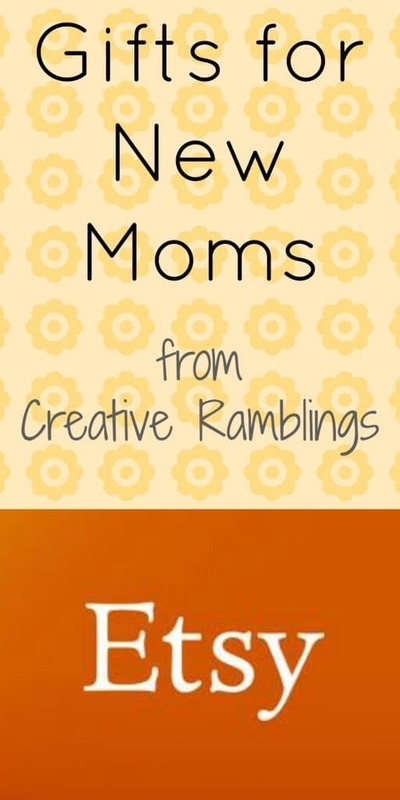 What is your go to gift for a new Mom? Did you receive an item you love? Please share! If you like this post be sure to pin it or share it on your favorite social media site. You can also follow me on Pinterest and we can inspire each other. I love that one too, thanks for stopping by Crystelle. I love everything about this post, especially since I’m expecting in May and my sister just had her first child. Thank you, thank you! Congratulations Amanda, I could spend a day on Etsy looking at all their cute mom and baby stuff. Best of luck to you!